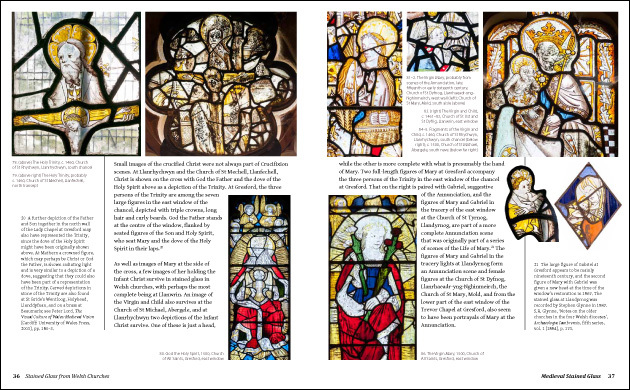 When working on the ‘Visual Culture of Wales’ project, the medieval stained glass of Wales was regarded as part of our work, although later stained glass was not. 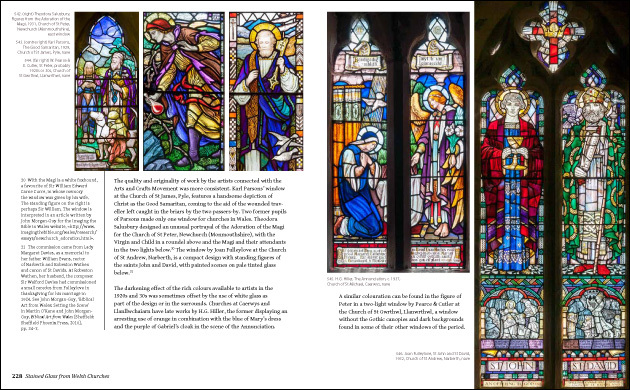 It was while researching biblical art in churches as part of the ‘Imaging the Bible in Wales’ project (2005–8) that I fully realised the range and quality of stained glass in places of worship in Wales and beyond. 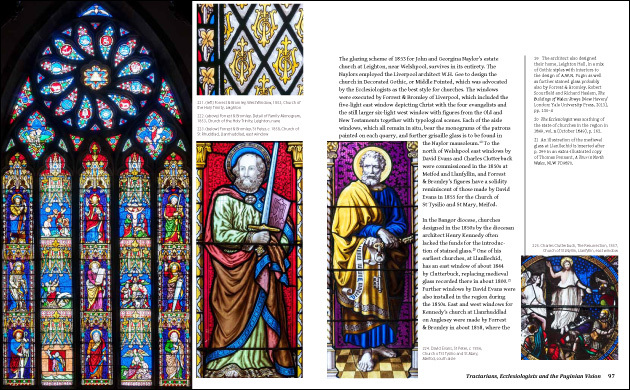 Initially, this was simply a case of recording stained glass, and this resulted in the publication of the online ‘Stained Glass in Wales’ catalogue, launched in 2011. 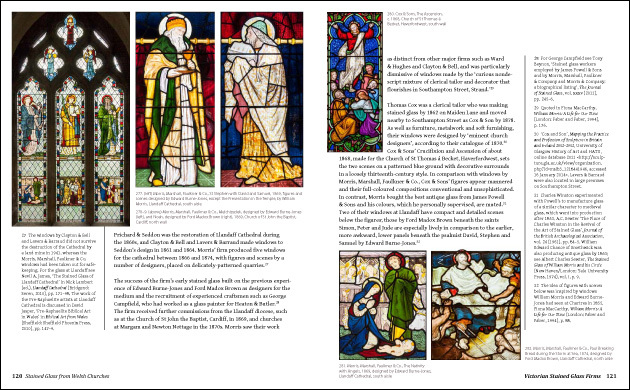 Much more fieldwork and research into archive sources was required in order to produce my Stained Glass from Welsh Churches, which I designed and illustrated, and was published in June 2014 by Y Lolfa. 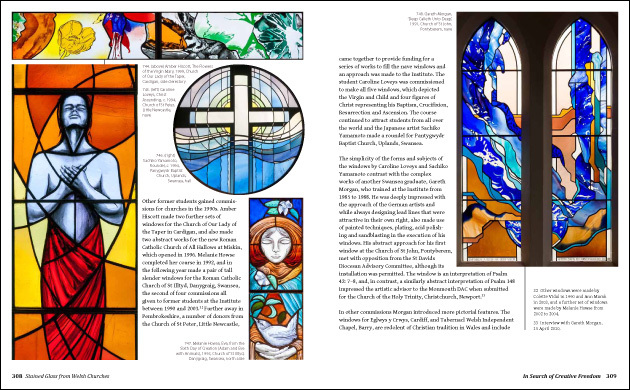 Below are some page spreads from the book. 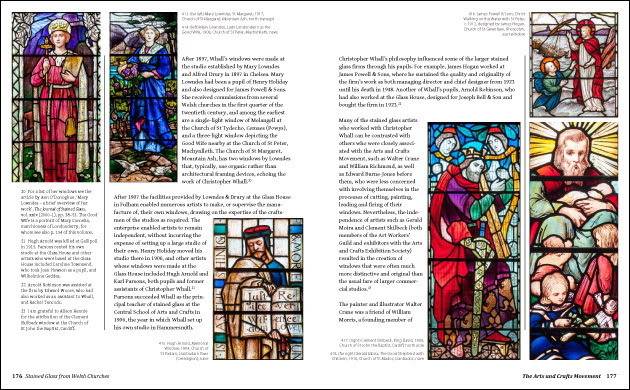 Please contact me to order signed copies. 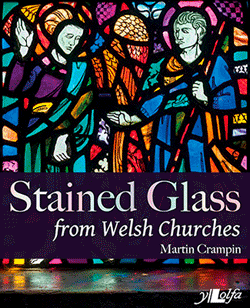 Further information about the book, and notes on reviews and events can be found on the Stained Glass from Welsh Churches Blog. 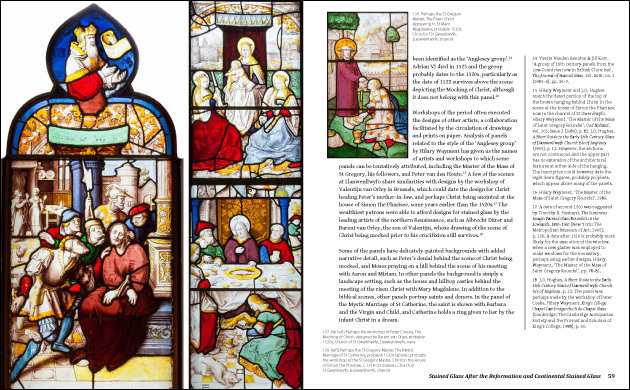 In addition to this large book, I have also written and produced smaller books as studies of the stained glass of individual churches, published by my imprint Sulien Books, which was established to publish small books such as this. 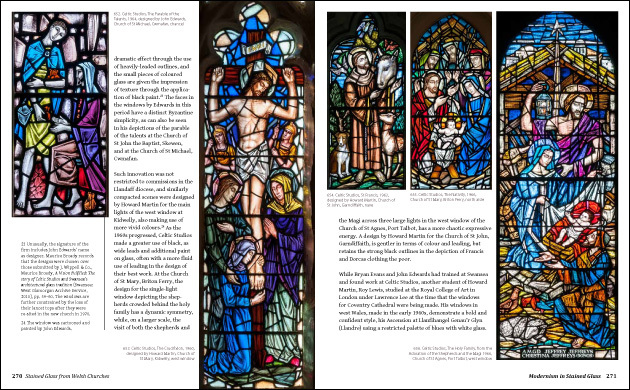 I have been recognised as the leading authority on the historic stained glass of Wales, and serve as an advisor on stained glass to the Diocese of Llandaff, as well as being a member of the Stained Glass Committee of the Church of England Church Buildings Council.